Any wire. Anywhere. It just works. The IoT Evolution Expo in Florida brought together thought leaders and practitioners from around the world to discuss and explore how the IoT is transforming enterprise. At the event that took place in February, I spoke on a panel discussing the difficulties of managing an IoT business and whether there is a way to simplify it. Although G.hn is considered mainly an enabler for in-home networking, it is important to focus on what else it can be used for in every industry. G.hn is ideal for IoT businesses as it can bring together multiple technologies and solves complexities around IoT connectivity as well as reducing the associated costs because it utilizes existing infrastructure, while being efficient and user friendly. G.hn delivers both high and low- speed data streams over various existing mediums (powerline, coax, phoneline etc.) meaning it can serve as the backbone transport of the near-end IoT infrastructure. The advantages of G.hn are easily recognized when compared to other technologies, which is great for service providers as they are always looking for ways to increase serviceability and manageability to stay ahead of the competition. For example, G.hn over coax can deliver IP data up to 5000 feet, whereas Ethernet cable can only go to 300 feet maximum. Another advantage of G.hn for IoT businesses is that it adds security through encryption, works towards blocking out interference and increases connectivity performance. As G.hn complements wireless solutions for ubiquitous connectivity, the need for a reliable and ubiquitous network infrastructure backbone to meet the growing data demand due to the IoT is covered. 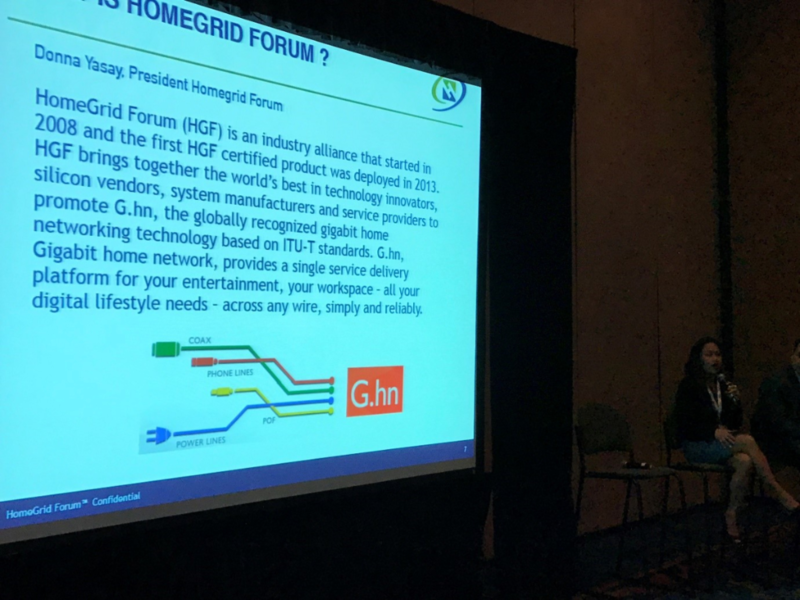 If you’d like to know more about G.hn or the HomeGrid Forum, we’ll be speaking at the Internet of Things North America, 30 March 2017, in Chicago, US. ← Previous Previous post: Why is G.hn ideal for smart cities?